In total there will be 20 such cars, which are decorated with the flag of the company's homeland - France. 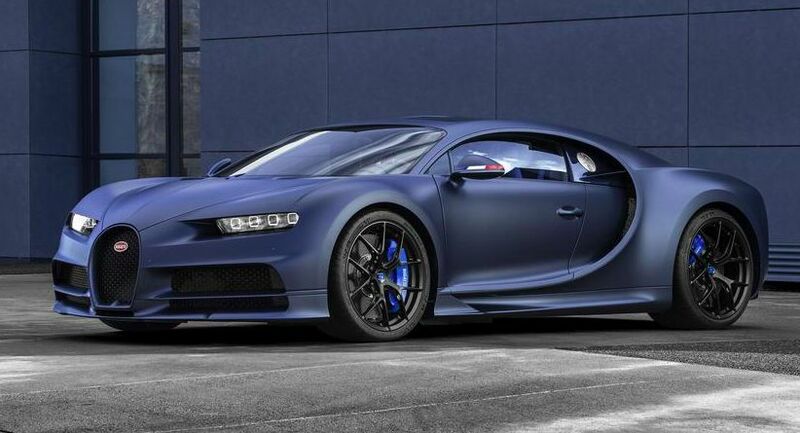 The body part of the Bugatti Chiron Sport is almost all carbon. The material is present on the outer panels, the front, as well as the elements of aerodynamics. For color variations, 110 ans Bugatti chose a scheme of 2 shades of blue: Matte Steel Blue with Steel Blue Carbon (matte glossy). Interior trim applies carbon fiber with skin in Deep Blue. Alcantara is on the inserts in the doors with seats, plus the bluish skin of the color Bright French Racing Blue. The flag of France with the emblem of a special version is also on the seats and steering wheel. Anniversary model provided 8.0-liter 1500-strong W16 with 1600 Nm of peak torque. 'Hundred' is taken as a hypercar for 2.4 seconds, with a maximum speed of 420 km per hour.